2) thankfully our creativity as Mums for coming up with ways to entertain our little folk during these infamous rainy days! 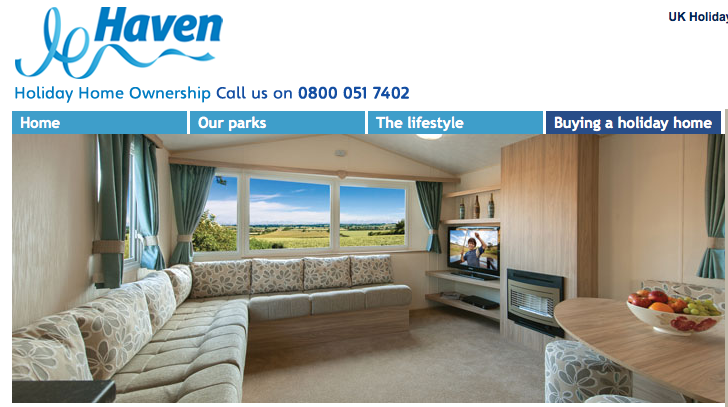 With Haven, you can have a holiday from being overly creative as there’s plenty to keep everyone happy – so come rain or shine, join in the fun with a whole range of activities at their holiday parks! For many people, going on holiday should be about seeing the great outdoors – and embarking on excursions to the tourist hotspots within the area as well as sampling the local culinary delights. But unfortunately a lot of holidays - certainly staycations - are determined by the weather, and at the first sign of rain often follows a washout of a weekend. However, that’s the beauty about being in a holiday park. With numerous facilities nearby such as sports activities, kids’ clubs, spas plus fabulous evening entertainment, don’t let a rainy day spoil your holiday – be spoilt for choice instead! Their on-site recreation has been designed so that whatever the weather, there’s ALWAYS plenty to see and do. From their popular ropes course complete with climbing walls to their all-weather sports courts, staying active is a great boredom-buster – for kids and adults alike! But if you’re going to get caught in the rain, then why not make a splash at any one of their water parks? With heated indoor pools, a great selection of flumes, slides and SplashZones, we guarantee that you’ll look forward to getting wet! And to make the most of these exciting features, why not take advantage of their prepaid activity passes? By paying for your passes upfront, you can get 25% off their on-park prices – meaning you’ll never have to take a ‘rain check’ on any activities again! If you’re going to stay in, then why not do it in style? What’s great about their static caravan is that they’re spacious, fitted with the latest mod cons to really make you feel at home – a ‘holiday’ home, that is. Why not be inventive and design a board game or perhaps bake some cookies? A great way of bringing people together, you only need the bare essentials and ingredients – and with many of their parks and holiday homes kitted out with internet access, you’re only one click away from accessing a hub of information to help you get started. So the next time you’re worried about the weather raining on your parade, remember – with Haven’s incredible activities and entertainment on offer, you’ll be as right as rain! P.S. me speaking now: their website REALLY is worth checking out!